Pain and injury will not stop the “Ultimate Fighter” season 11 winner Court McGee. After his successful fight in ‘The Ultimate Fighter’ season 11 against Ryan Jensen, Court McGee is back into action after suffering from a broken hand. 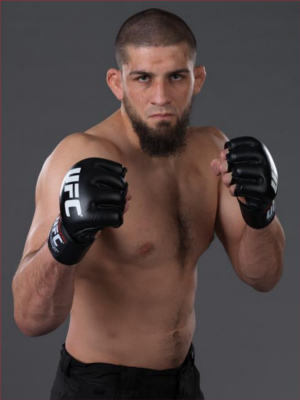 Through his dedication to the sport and his determination to come back in the ring, Court McGee trained at his best while sparing his broken hand so that it may heal as soon as possible. But he accidentally blew his knee training with Jake Shields. This incident has resulted to the postponement of Court McGee’s fight against Jesse Bongfeldt at UFC 131 in June. Fortunately enough, got his knees is healing fast as his surgery doctors told him. While being almost recovered to injuries, Court McGee is seeing to fight in mid-summer at middleweight division. He will just have to wait for Joe Silva’s call to get him a fight. Court McGee’s full recovery is expected to be on the end of July or maybe on early August according to his trainer. His full recovery will give him an entry pass in having a possible bout at UFC on Versus 5 show.